Children are naturally curious, have great potential and have an innate interest in developing relationships. Fairchild Junior Academy (FJA) programs build on this premise, inspired by the Reggio Emilia approach to learning and guided by the British Columbia (Canada) Early Learning Framework, the Ontario (Canada) Early Years Framework and the Early Years Foundation Stage (EYFS) from the United Kingdom. The FJA infant room has been designed to provide children and their caregivers a unique experience learning and playing together. Teachers organize space and materials to create an environment that supports and immerses participants in play. Children learn through play and discovery. Teachers guide participants in developmentally appropriate, engaging activities planned to stimulate brain and body development. 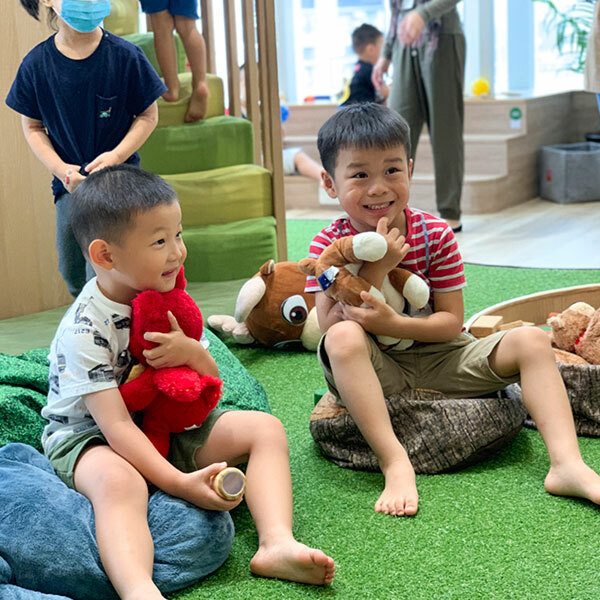 A wide range of sensory experiences incorporating music, rhythm, movement, language, and physical play provide fun opportunities to grow and connect with each other. Visual, auditory and social skills develop with these experiences as the children become more aware of themselves, their body, their environment and the people in it. Specially designed games and large motor play equipment to assist in acquiring/ encouraging skills such as sitting, crawling and walking. The FJA toddler room has been designed to provide children and their caregivers a unique experience learning and playing together. 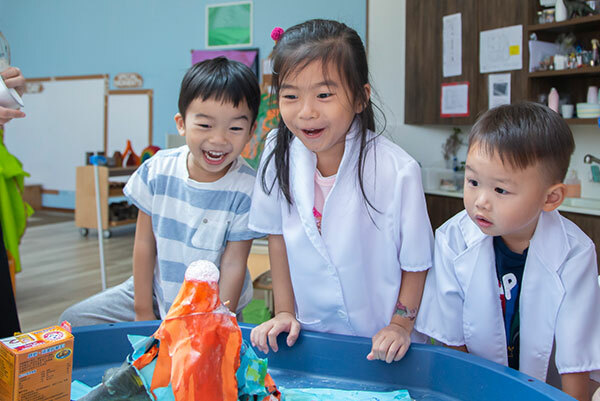 We believe children grow and learn given opportunities to explore and inquire in a stimulating and nurturing environment. We “bring the outdoors, in” and have created spaces for children to dig and plant, pour and measure, reflect and refract light, and experiment using all of their senses. These experiences help to build a connection with nature and develop key foundational skills. Through play, children investigate, discover, inquire, solve problems and therefore, learn. Teachers organize space and materials to create an environment that supports and immerses participants in play. Teachers learn along with and listen to the interests of each child, letting that be a guide for creating a wide range of sensory experiences incorporating music, rhythm, movement, language, and physical play. Visual, auditory and social skills develop with these experiences as the children become more aware of themselves, their body, their environment and the people in it. The FJA transition room has been designed to provide children a unique experience learning and playing under the guidance of experienced teachers. We believe children grow and learn given opportunities to explore and inquire in a stimulating and nurturing environment. We “bring the outdoors, in” and have created spaces for children to dig and plant, pour and measure, reflect and refract light, and experiment using all of their senses. These experiences help children build a connection with nature and develop key foundational social, emotional, physical and cognitive skills. Through play children investigate, discover, inquire, solve problems and therefore; learn. Teachers organize space and materials to create an environment that supports and immerses participants in play. 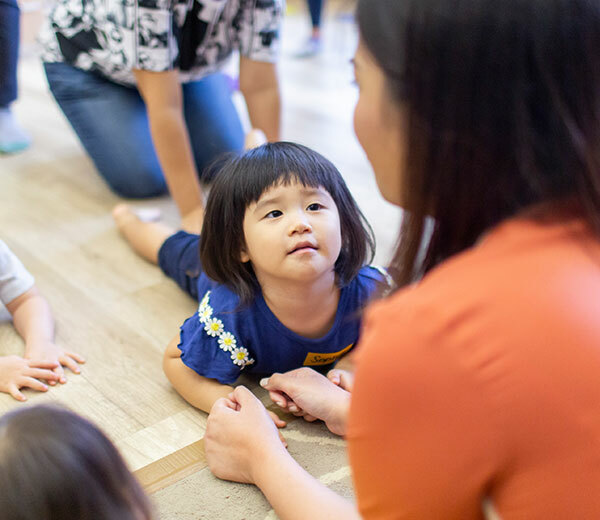 Teachers learn along with and listen to the interests of each child, letting that be a guide for creating a wide range of sensory experiences incorporating music, rhythm, movement, language, and physical play. Learning is visible through teacher documentation, photos, videos and displays of student work and creations. Visual, auditory and social skills develop with these experiences as the children become more aware of themselves, their body, their environment and the people in it. Children at this age are developing their sense of self, and it’s important that they have different ways to express themselves through a variety of forms of expression. Develop a sense of wonder through experimentation: water, sand, soil, and light. Pre Reception programs are based on the principles of respect, responsibility and community through exploration and discovery. The FJA Pre Reception room is a unique space, incorporating aspects of nature and the outdoors in every session. We “bring the outdoors, in” and have created places for children to dig and plant, pour and measure, reflect and refract light, and experiment using these mediums. These experiences help children build a connection with nature and develop key foundational skills, building a foundation for life-long learning. We believe children grow and learn given opportunities to explore and inquire in a stimulating and nurturing environment. Through play, children investigate, discover, inquire, solve problems and therefore, learn. Teachers organize space and materials that support the engagement of small groups and immerses children in play. Teachers learn along with and listen to the interests of each child, letting that be a guide for creating a wide range of sensory experiences incorporating music, rhythm, movement, language, and physical play. Learning is visible through teacher documentation, photos, videos and displays of student work and creations. Social, emotional, cognitive and physical skills develop with these experiences as the children become more aware of themselves, their peers and their classroom community. Children at this age are developing their sense of self, and it’s important that they have opportunities to express themselves through a variety of forms of expression. School Extension Activities (SEA) give your child the opportunity to find their creative instincts, improve their social skills, make new friends or enjoy getting active with fitness opportunities. School extension activities and Saturday programs will be developed and introduced at FJA with the same play-based philosophy that regular classes are designed. 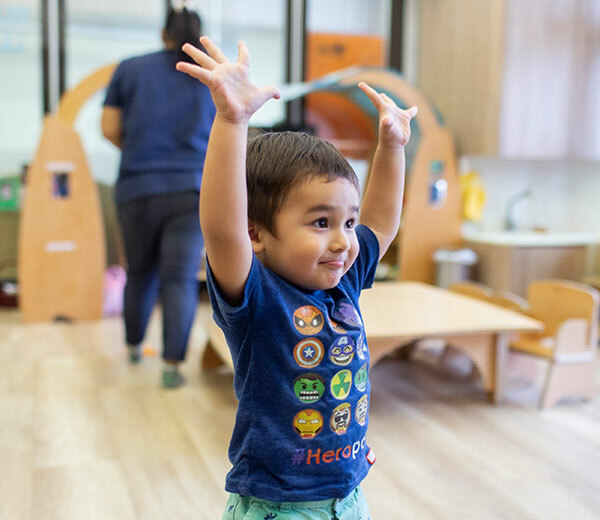 We want infants and toddlers to have fun, to move, to explore and to try things they might not otherwise do or experience during their regular classes. Saturday classes are designed to give parents, who can’t ordinarily be with their child during weekdays due to work and other commitments, the opportunity to participate in a teacher guided program with their child. Examples of some of the activities and programs that may be run at FJA are below. We also encourage parents to give us ideas about activities you believe would benefit children.